My redoubtable fellow blogger XIX век recently alerted me to the death of Joseph Frank (which the Slavic Studies mailing list SEELANGS, distracted by the drama currently surrounding author Mikhail Shishkin, seems to have overlooked). 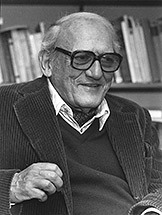 Joseph Frank, who has died aged 94 of pulmonary failure, was Class of 1926 Professor of Comparative Literature (Emeritus) at Princeton; a noted literary theorist and inspiring educator; even, according to his Washington Post obituary, briefly a fiction writer. He is most admired, however, for his monumental five-volume Dostoevsky biography, which has guided several generations of Dostoevsky scholars. Never pedantic, yet meticulously researched; never dogmatic, yet broadly insightful; entertainingly written and infused with vivid sympathy for the writer's complex and sometimes torturous mindset (notwithstanding the paradox of a Jewish scholar lovingly writing the life of Russia's most respected anti-Semite), these wonderful books with their imposing individual titles (The Seeds of Revolt; The Years of Ordeal; and my favourite, no. 5, The Mantle of the Prophet) were compressed into a single magisterial one-volume edition by Mary Petrusewicz in 2009. Caryl Emerson, a former student of Frank's and now herself a professor of Comparative Literature at Princeton, suggests convincingly here that the secret of the biography's catholic appeal was its intellectual breadth: 'Joseph Frank was not a Russianist; he was a Europeanist who fell in love with Dostoevsky's life and brought the whole of European culture to bear on it. For those of us trained more narrowly, this was a revelation'. For me, Frank's biographies were priceless because they combined critical analysis of the fiction with clearheaded summaries of the writer's state of mind and financial affairs, with supporting citations from the diaries and other records of Dostoevsky himself besides a range of family and acquaintances. For instance, Frank quotes Dostoevsky's 1877 diary to conjure up the 'exalted state of rapture' (Frank's phrase) the 24-year-old writer experienced after his first meeting with Belinsky in 1845. But despite this affinity with the young Dostoevsky's naive excitement, Frank doesn't spare his subject when describing his reaction to Belinsky's later criticism: 'Every word of qualification struck a mortal blow at Dostoevsky's boundless vanity and overweening sense of self-importance'. Frank is equally good on the many other stirring periods in Dostoevsky's life; I particularly enjoyed his accounts of the bungled affair with Polina Suslova in 1863 as the pair travelled from Paris to Italy, and of Dostoevsky's stint a decade later as editor of The Citizen, seen through the eyes of a young journalist, Varvara Timofeyevna. Compare Leonid Grossman's one-volume 1962 Dostoevsky: His Life and Work - the only major Russian biography at a time when Soviet Communism determinedly ignored Dostoevsky's legacy. Grossman doesn't integrate textual analysis with biography as thoroughly, and his fly-on-the-wall approach to historical narration is actively obtrusive: 'Pressing his thin clean-shaven lips together officiously, Gagarin darted a piercing look at the prisoner from his inquisitive, cunning eyes. he held his head a little to one side, as Catholic priests do during confession while they listen piously to the penitent sinner's voice' (from the chapter on Dostoevsky's court-martial, translated by Mary Mackler).